Honeycomb Builders Inc. - Get to Know More About Us | HBI - Honeycomb Builders, Inc.
Honeycomb Builders’ name was borrowed from the home of the honeybees – nature’s master engineers. Like the bees, HBI creates homes that are of good quality, with smart use of space and are appealing, using innovative ideas that make life sweeter for its homeowners. Established in 1976, HBI has already delivered close to 3,000 homes in more than 25 locations in the Philippines. HBI is an affiliate of the Guevent Investments Development Corporation (GIDC), a company that has over 50 years of business development experience and has investments in various industries including Real Estate, Finance, Transportation and Insurance. Contact us today to know more about HBI’s space-smart condominium developments. 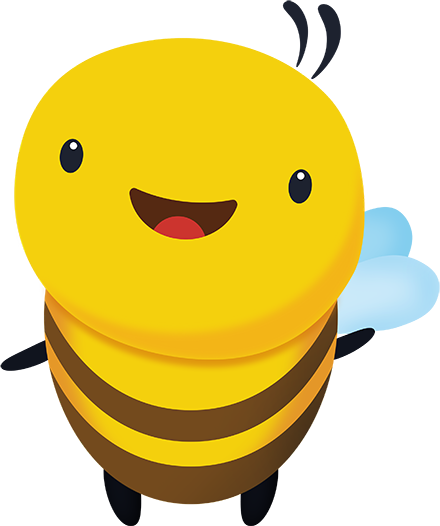 Meet “URBEE”, the Official Mascot of HBI. He’s a warm and wise bee who gives practical life hacks, and spreads positivity to uplift the community. We believe that God entrusted us with unique talents & gifts. And as His stewards, it is our duty to use these gifts to serve others and to glorify His name. One of the keys to our lasting success is our commitment to improvement and innovation. We are constantly experimenting with and adopting various technologies to makes sure our products continue to meet both lifestyle and budget requirements of homeowners. Our employees are our family. They are HBI’s best assets, and we prove our fairness and compassion to them by providing them opportunities for growth. We treat our customers with the same respect. We develop and offer products that are priced right and that add real value to our clients’ lives. As a business, we are not focused solely on the profits. We put a premium on giving back to the people who make it happen. We empower our employees to be leaders in their own right. Honeycomb’s culture is a culture of care, wholeness and greater purpose. We encourage open dialogue and facilitate avenues for constant improvement. space-smart homes in the Philippines.